Plasma Audio has been one of the biggest breakout bass music labels in recent years, coming out swinging from down under in 2014 to release a number of hard D&B mainstays as well as their burgeoning halftime experiments. Among many others, Hybris, Proxima, Alix Perez, Monty, Icicle and even Nickbee and DLR have released on Plasma in their short tenure on the scene. So, with a growing following and a deep-and-dirty style emerging, the close of 2018 seems like a great time to release their first compilation, and that’s just what Plasma has done. Spectrum vol. 1, out today, is also part of a series that highlights both drum & bass and halftime, Plasma’s two mainstays at this point. It seems the Spectrum series, however, is also meant to highlight artists who are not necessarily scene mainstays yet, but likely will be. 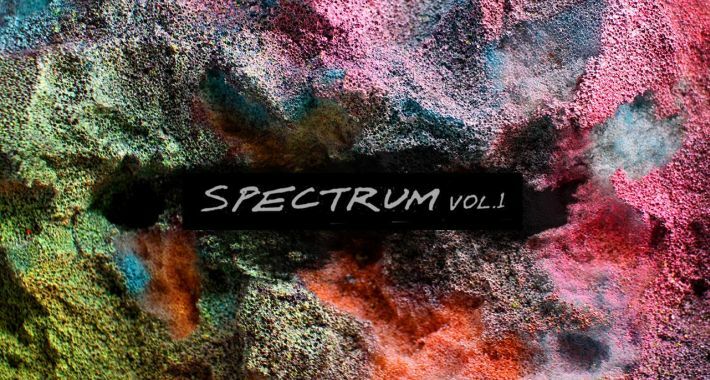 Of the seven artists on Spectrum vol. 1, only Ewol has released on Plasma before, but that doesn’t mean the rest don’t have their own pedigrees. Benji, who worked with Ewol on the compilation’s opening halftime track “Skeng,” also worked with Cyantific on his recent huge Bloodline LP. M.Justa, who has his own halftime track on the comp called “Reason”, also just released on Noisia’s Division imprint as part of their Partialseries. OaT and KcA (“Definitive”) have released as a duo on Bad Taste and IN:DEEP recently and Temple, who rounds out the EP with an old school-inspired roller called “Dogfunk,” has released on the legendary Moonshine records. No matter where they come from, the artists on Plasma’s first Spectrum series have done a good job representing the wide range of style and talent this Australian label can bring. With halftime tracks that are deep and a bit different and D&B tracks that are cool and danceable, Plasma covers the spread as it opens this new series. It will be interesting to see how they develop the Spectrum from here. Spectrum vol. 1 is out now on Plasma as a Beatport exclusive.